Michelle Marchildon, author of several nonfiction books including Finding More on the Mat: How I Grew Better, Wiser and Stronger through Yoga and Theme Weaver: Connect the Power Of Inspiration to Teaching Yoga provided this review of former literary agent Mark Malatesta. Michelle worked with Mark to improve her query letter, book proposal, and manuscript, which resulted in literary agency representation with a top literary agent. Scroll below to learn more. Click here to see all Mark Malatesta reviews. 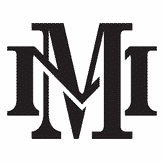 And click here to learn more about Literary Agent Undercover and The Bestselling Author after you read the review about Mark Malatesta below by Michelle Marchildon. “I worked with Mark because I wanted to be sure I had done the best I could for my book. And indeed, I had. After struggling for months with proposals and queries, Mark helped me put together a fantastic package. Within just a few hours I had agents calling me – actually calling my cell phone. I signed with a top-rated agent within a week. My agent told me that she had so many other things to do the day my query came in, but she had to dig into my proposal. ‘It’s marvelous,’ she said. My earlier query letter was embarrassing—it was as if I showed up to the prom in my underwear. I had no idea of what a query or a book proposal should look like, although I used a popular book to try and figure it out. Mark’s guidance was individualized to my offering. My final query and proposal were so strong it was like I was dressed in Tom Ford. In addition to helping with the query and proposal, Mark provides his clients a customized agent spreadsheet. This was HUGE. You can say you’ve queried hundreds of agents, but if they aren’t right for your book, what’s the point? The agent list Mark put together identified the agents most likely to represent me. As a result, the process of researching agents was much easier, and effective. Finally, Mark is dedicated. He will stay with you no matter what. He’s a Labrador retriever of a human without any slobbering. Adorable. Loyal. Faithful. He isn’t about taking the money and running. He is personally vested in your success. You may give up or change your mind, or change direction, but Mark will never, ever give up. He will see you through. If I hadn’t worked with Mark, I’d still be mired in doubt and probably in the bar. Do You Want to Be Like Michelle Who Provided this Review About Mark Malatesta? 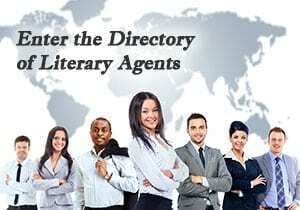 Do you want to get a top literary agent like Michelle? Click here to get instant access to the Free Resources on our websites for authors and click here to find out how you can Schedule an Introductory Coaching Call. Mark Malatesta is founder of The Bestselling Author and Literary Agent Undercover, helping authors of all genres (fiction, nonfiction, and children’s books) get top literary agents, publishers, and book deals. The above review of Mark Malatesta was provided by author Michelle Marchildon.